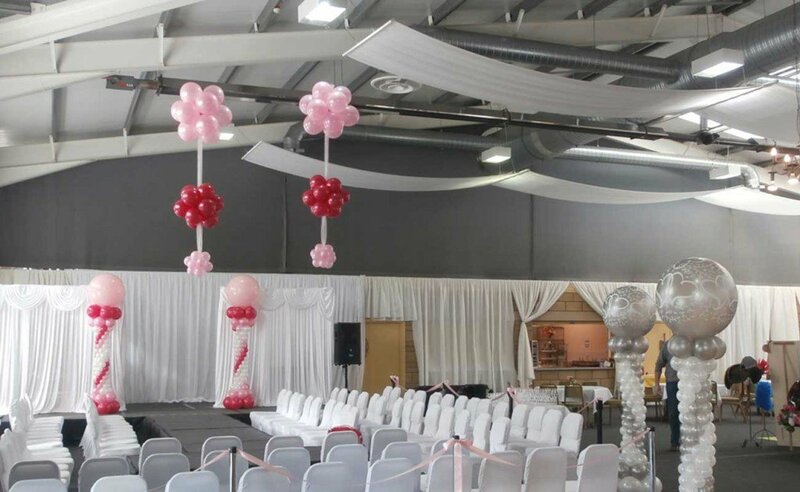 At Seasons Balloons we can now provide professional balloon décor to suit any occasion and budget. Steve Fletcher CBA has trained as a balloon artist. Our Wedding & Event Balloon Decorating Service covers the Scottish Borders, Galashiels, Jedburgh, Melrose, St Boswells, Kelso, Coldstream, Duns. North Northumberland, Berwick -Upon -Tweed and Wooler. If you need more information, pop in to see Steve or Claire in Roxburgh Street Kelso. Alternatively why not email us at seasons.kelso@btinternet.com or call us on 01573 226 675 and we will be happy to discuss your requirements and show you photographs of our work.